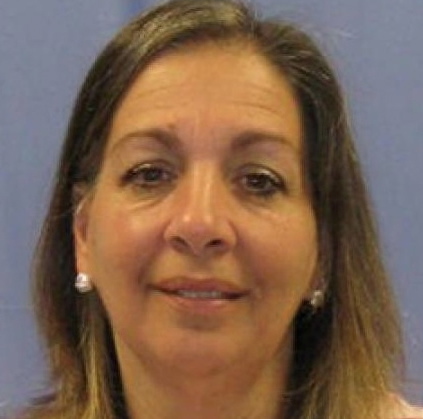 Former Magisterial District Judge Rita A. Arnold received a 16- to 32-month state prison sentence Tuesday in Chester County Court. Stressing that “the oath we take to tell the truth” must mean something, a visiting judge issued an aggravating-range sentence to an embattled former Chester County magisterial district judge: 16 to 32 months in state prison. In imposing the harsh term Tuesday on Rita A. Arnold, who once served as magisterial district judge for the Downingtown area, Senior Judge John L. Braxton said he took no pleasure in the penalty but stressed that it was warranted by Arnold’s pattern of conduct. Arnold’s attorney, Heidi F. Eakin, had argued for a county sentence if Braxton rejected her plea for probation. Eakin said house arrest would enable Arnold, who recently underwent a double mastectomy, to receive the eight-month regimen of chemotherapy she learned last week would be necessary to deal with her spreading cancer. “We are very disappointed with the sentence, and we will be pursuing our appellate rights, especially in light of her health condition,” said Eakin after the proceeding. She said the penalty shocked Arnold, who had surgery Sept. 24 and “is still in considerable pain.” Braxton ordered Arnold to be taken into custody immediately, and Eakin said she would also be filing a motion for bail, pending the appeal. Addressing the judge, Arnold said she had worked in the court system since the age of 18. “Being a judge was my dream,” she said. The 57-year-old former jurist echoed a theme expressed by three supporters who spoke in her behalf: that she had paid dearly for her error in judgment, losing her career, her pension, her reputation, and her health. “I’m truly sorry for the embarrassment I’ve caused…,” she said, urging the court’s mercy and compassion. Arnold pleaded guilty in June to obstruction of justice and tampering with public records. According to the criminal complaint, she concealed a summary citation state police issued to one of her sons in January 2010 to protect him from a potential probation violation. After repeated questions over a couple of months from police about the docketing delay, Arnold lied about its status, and then, without the required approval of Chester County President Judge James P. MacElree II, improperly docketed the citation and ordered an employee to transfer the citation to another court, where it was dismissed, the complaint said. Both Braxton and Senior Deputy Attorney General Susan L. DiGiacomo pointed out that once the wrongdoing was discovered, Arnold, who spent 19 years on the bench, had multiple opportunities to admit her misconduct but failed to do so. Instead, Braxton pointed out that she “concocted” three different versions of events to try and conceal her guilt. But Braxton said he was even more troubled by the fact that Arnold tried to get her longtime office manager to lie, and when the woman refused to do that, she tried to get her fired. “The people walking on the street of this county need to know that if they do the right thing, they’re not going to be punished,” he said, citing Arnold’s treatment of her employee as “the tipping point” in his assessment of the appropriate penalty. In April, about eight months after Arnold returned to her elected post, she resigned after state agents from the Pennsylvania Attorney General’s Office arrested her for the same offenses. DiGiacomo referred comment to officials in the state Attorney General’s Office, where officials were not immediately available. Braxton made Arnold, who once presided over cases in Birmingham Township, eligible for Recidivism Risk Reduction Incentive, a state program that could shave about 5 ½ months off of her sentence, court officials said. If you are part of writing or enforcing “the book”. Then throw the book at her. I know some of you know her and i don’t, i’m sure she is maybe a good person. I spent prison time due to her “judgement calls” which there is still no record of a real warrant. She violated MY probation while multiple officers refused to. I never got a record of a warrant anywhere. Caln & Birmingham township, coincidence i think not. Not to mention a tazer pointed at me during interrogation. Don’t f**** with the law, they can do whatever they want.